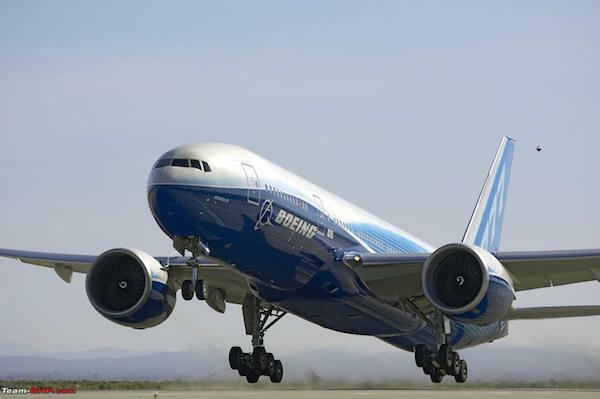 The Islamic Republic of Iran’s official news agency IRNA has recently said that the US plane manufacturer Boeing is about to deliver two 777 passenger aircraft to the country’s national carrier Iran Air. The time frame given by IRNA based on an unnamed industry source is April 2017. According to IRNA, the two aircraft in question had been meant for Turkish Airways, but after the airline canceled its order, the jets were sold to Iran. Earlier in 2016, Boeing and Iran Air disclosed an order for 80 Boeing planes comprising 50 narrow-body 737 and 30 wide-body 777 aircraft. The total deal (at list prices) is estimated to be worth more than $16 billion. The price that the Iranian government will actually pay is quoted to be around 50% lower, due to discounts provided by the manufacturer for the large order. Earlier in April, Iranian Aseman Airlines signed a tentative agreement to purchase 30 Boeing 737 MAX jets. If the parties take the deal to the next level, it will be valued at $3 billion at list prices, although a hefty discount would be expected in this case as well having in mind the scale of the deal. Boeing and Iran were able to strike a deal during to the nuclear agreement Iran had previously signed with major global powers. As a result, some sanctions that previously prohibited US companies from exporting their products to Iran, were lifted. In total, Iran has ordered 100 planes from Airbus and 80 from Boeing. The country is also finalizing a deal of acquiring 20 ATR turboprop aircraft.